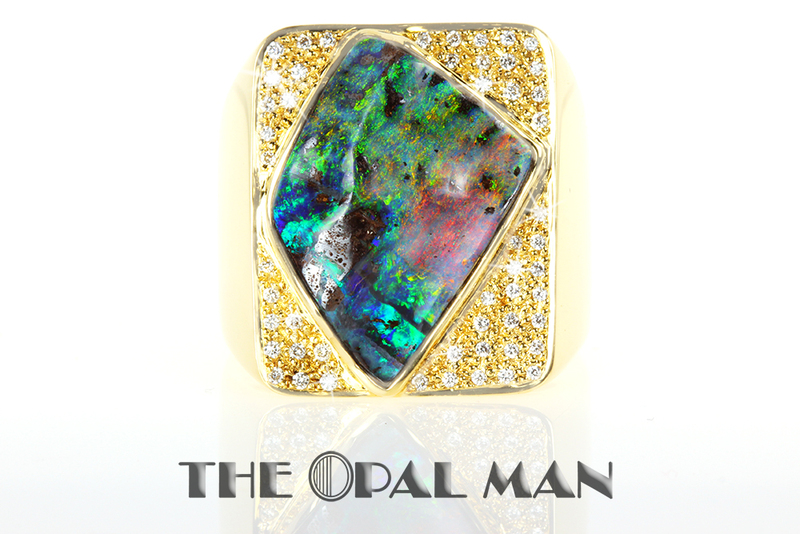 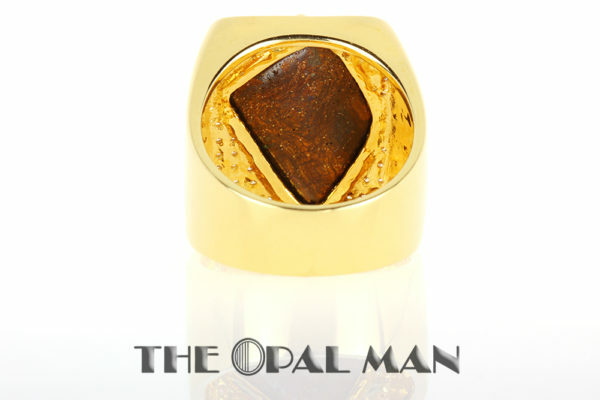 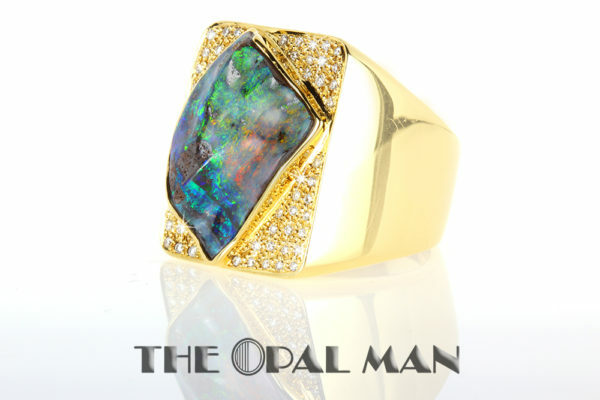 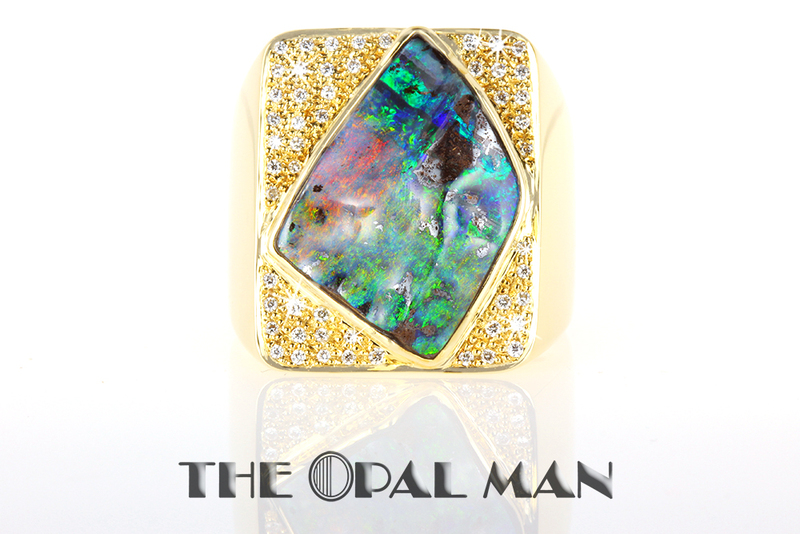 Astonishing Australian boulder opal set in a 18k yellow gold ring with diamonds encased along the sides of the opal in the shape of a rectangle. This is what we like to refer to as the Super Bowl Ring because it is massive in size, amazing in color, and studded with diamonds. 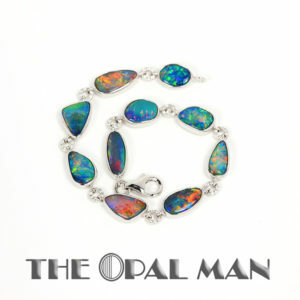 The boulder opal is free-form and has an uneven surface that helps accentuate the colors present. 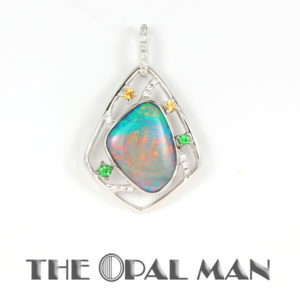 Speaking of colors, this opal has great flashes of blue and red along it’s primarily green surface. 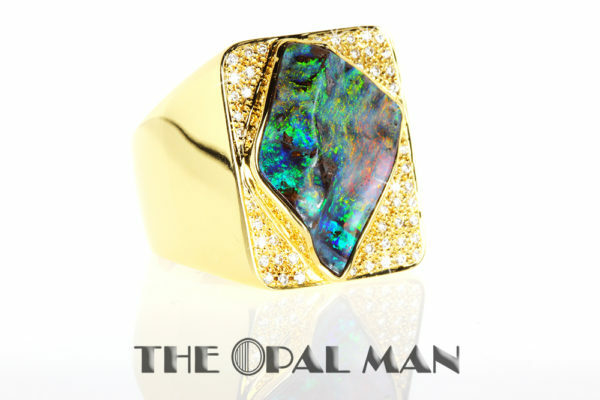 What a piece of art! 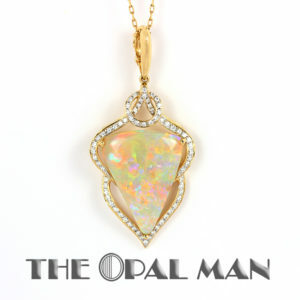 Size: 11.50 Please call if you have any questions about resizing.